vMotion is probably my favourite VMware feature ever. It is one of those features which revolutionized the world and just when you think they can’t really innovate anymore they take it to a whole new level. So what is new? No requirement for L2 adjacency any longer! That is a nice long list indeed. Lets discuss each of these new features one by one and lets start at the top with Cross vSwitch vMotion. Cross vSwitch vMotion basically allows you to do what the name tells you. It allows you to migrate virtual machines between different vSwitches. Not just from vSS to vSS but also from vSS to vDS and vDS to vDS. Note that vDS to vSS is not supported. This is because when migrating from vDS metadata of the VM is transferred as well and the vSwitch does not have this logic and cannot handle the metadata. Note that the IP Address of the VM that you are migrating will not magically change, so you will need to make sure both the source and the destination portgroup belong to the same layer 2 network. All of this is very useful during for instance Datacenter Migrations or when you are moving VMs between clusters for instance or are migrating to a new vCenter instance even. Next on the list is Cross vCenter vMotion. This is something that came up fairly frequent when talking about vMotion, will we ever have the ability to move a VM to a new vCenter Server instance? Well as of vSphere 6.0 this is indeed possible. Not only can you move between vCenter Servers but you can do this with all the different migration types there are: change compute / storage / network. You can even do it without having a shared datastore between the source and destination vCenter aka “shared nothing migration. 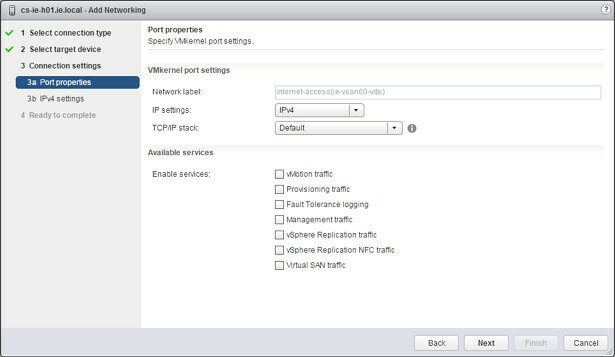 This functionality will come in handy when you are migrating to a different vCenter instance or even when you are migrating workloads to a different location. Note, it is a requirement for the source and destination vCenter Server to belong to the same SSO domain. What I love about this feature is that when the VM is migrated things like alarms, events, HA and DRS settings are all migrated with it. So if you have affinity rules or changed the host isolation response or set a limit or reservation it will follow the VM! 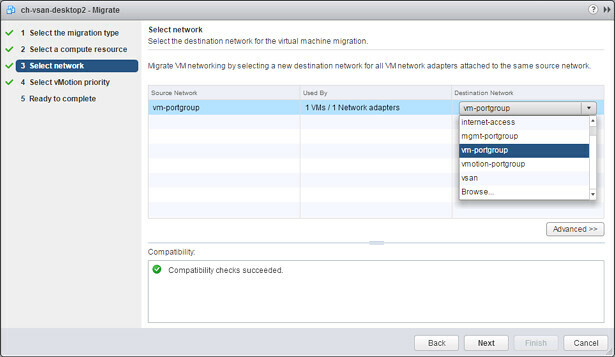 Full support for vMotion of Microsoft Cluster virtual machines is also newly introduced in vSphere 6.0. Note that these VMs will need to use physical RDMs and only supported with Windows 2008, 2008 R2, 2012 and 2012 R2. Very useful if you ask me when you need to do maintenance or you have resource contention of some kind. That was it for now… There is some more stuff coming with regards to vMotion but I cannot disclose that yet unfortunately. What about different CPU architectures? Cross vCenter vMotion sounds awesome, but if you’re migrating from a Nehelem architecture to a Haswell architecture, it won’t help much unless you can get away with that. And yes, I know about EVC, but at some point, ya gotta change CPU feature set. Cross cpu architecture vMotion can be done if you tweak vmx settings, but experience shows that your vMotioned VMs has a tendency to crash (BSOD) a bit quicker than before. Especially when vMotioning from AMD to Intel. “Full support for vMotion of Microsoft Cluster virtual machines”, seriously? This would be awesome. How does shared storage come in to play with Long Distance vMotion? Is that going to be a limiting factor, any of the storage companies working on anything? I agree with you that vMotion is together with FT one of my favourite technologies ever. When talking about cross vCenter vMotion, what are going to be the constraints when new vCenter releases come out? same vCenter build? same vCenter minor/major version? Both the source and destination need to be ESXi/vCenter 6.0+. They need to be part of the same SSO domain to use the web client to perform the task. If they are part of different SSO domain, you can use the API to perform the vMotion. Full support for vMotion of Microsoft Cluster virtual machines!!!!!! Yes!!!!!!!! This might be a dumb question, but I’ll ask it! vMotion support for MSCS, storage vMotion shouldn’t matter since the nodes should be using shared disk correct? Could you still do a storage vMotion potentially to move system volumes only? How does security change with the additional vMotion capability? Historically this traffic was never encrypted but this wasn’t too much of an issue over an L2 network. If the traffic is going over an L3 network I’d hope there would be some degree of encryption introduced. No encryption for vMotion traffic. Duncan, what happens to performance graph data/event lists/task lists of guests migrated between vCenter servers? Are there appropriate fields/values present to allow external tools (be them third party or even things like vROPS) to recognise this sort of migration and not consider the migrated virtual machine “new”? How will Long Distance vMotion work with asynchronous replication technology (either vSphere Replication or Storage array)? Without support for this it is not a viable Disaster Avoidance technology as I assume today you need to move the entire VM’s storage every time you perform a vMotion. I remember EMC talking about using VVOLs and asynchronous replication (i.e. VPLEX Geo) that would essentially on a VM by VM basis perform a delta storage replication before vMotioning. Is this something that we are likely to see in 6.x or is it down to the storage array vendors to sort this out? Replication-Assisted vMotion – Enables customers, with active-active replication set up between two sites, to perform a more efficient vMotion resulting in huge time and resource savings – as much as 95 percent more efficient depending on the size of the data. Can you elaborate on this feature more and confirm if it is related to what I am talking about above? no announcements have been made around support for something like VPLEX GEO so I cannot comment on that yet. So does that mean that today the only way to perform Long Distance vMotion is do a combined vMotion and Storage vMotion? Are there plans to integrate Long Distance vMotion with vSphere Replication so you only need to move the delta with Storage vMotion? Are there any plans for a stateful vMotion? Example being – I have a customer that vMotion’s their SQL server from one host to another, and part of their application tier has a persistent connection to the SQL instance that will die requiring a service restart should the connection as much as blip… I would think if the state could be transitioned as part of the vMotion process that could be alleviated. Thoughts? Duncan, is it possible to vmotion a vm from vcenter 5.x to vcenter 6? As far as I know it isn’t supported. Stupid question time… But if vMotion traffic is supported over L3 does this mean the provisioning traffic for NFC is as well? Yes, if you don’t want to re-ip your VM…. If we have 2 essential plus license are we able to perform cross vmotion vcenter? Has anything else changed under the hood? Is vMotion still a multi-pass operation with SDPS when needed? Does DRS use cross vswitch vMotion or is it just a manual migration? My question is, how to do that? how to migrate one Domain SSO into an other Vmware SSO Server ? Any idea that VMware vSphere 5.5/6.0 Essential kit plus supports storage vMotion feature. What are the potential challenges related to cross vcentre VM migrations as well as long distance VM migration yet to be addressed? While performing the cross vCenter vmotion’s, How do we replicate/restore configuration’s, policies, features on destination vDS which were created on Source vDS ? do we have any document for the workflow and usecases on this ?